The one that got away. What's the opposite? 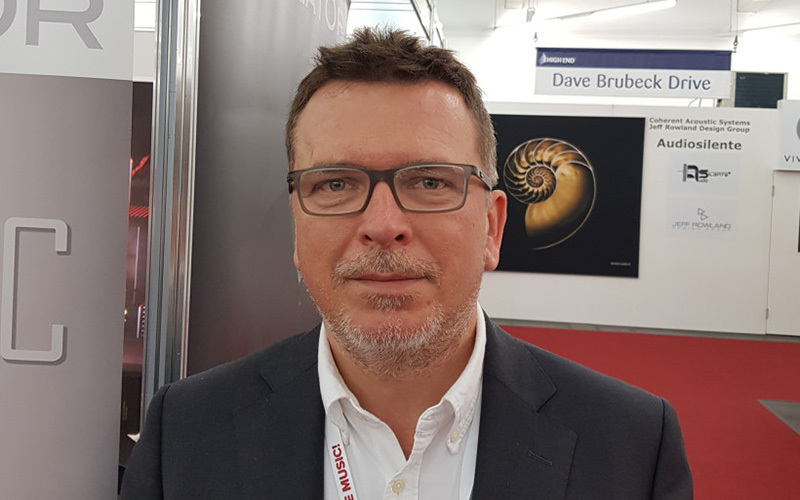 In my HighEnd Munich 2018 show report, I'd previewed two portable balanced DAPs from Soundaware and Questyle. Both sported dock-like appendages. I'd suggested their use as compact battery-powered SD card media servers. Right past their introduction, I'd said that "from that you'd rightly suspect that exhibits built around expensive servers wouldn't tickle me. Already on my 3rd iMac with FusionDrive/PureMusic, I don't get the genre. To date and over our setup, I haven't heard any performance deltas significant enough to warrant putting up with their expense or reliance on Wifi tablets." Imagine my surprise when I returned from Munich with one prospective disruptor to my status quo: today's Polish SuperKomputer. 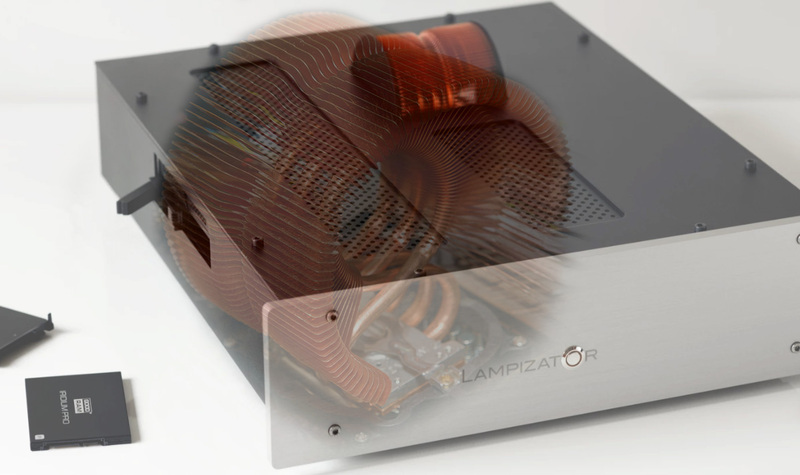 LampizatOr's boss Łukasz Fikus owns eight iMacs. He is most fond of the hardware. He knew exactly where I came from. Still, when I talked to him in Munich, he promised categorically that their extremist machine would make that drastic difference I'd been chasing. He openly admitted that this wasn't from his pen. Rather, it was designed by would-be employee Antoni Bagan (deliberately not an IT expert so he'd think out of the box!) who'd been tasked to rethink everything known about the genre, then was given three years to do so from scratch. When asked what he personally expects from hifi, Łukasz had been most concise. "I want to hallucinate. I want to be scared shitless when a singer suddenly manifests in front of me as though flesh'n'blood real." 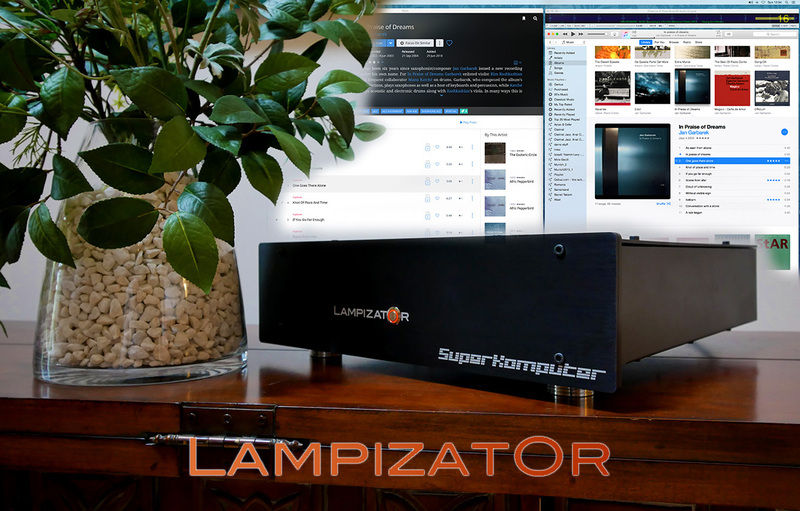 Unlike so-called audiophile renderers or servers, Antoni's offspring for LampizatOr is called exactly what it is; a computer. The 'super' simply hints at where and how it goes headlessly beyond Electric Avenue computers which are designed by IT corporations as massively paralleled multi taskers, not specialized music machines. An unexpected email from Łukasz hit five weeks after the show to announce imminent arrival. "Following our Munich conversation and your interest to try our new SuperKomputer, we prepared one and have it ready after testing and burn-in. We could ship within the next 2-3 days. I am writing to confirm your interest and shipping address. Also, before it is too late, inform me about any special requirements. Generally speaking, the configuration will be the following: the music is on your storage; the internal drive is for system use only but will have a few test tracks; the GUI is purely Roon and will seamlessly see the internal drive, your NAS and Tidal (if you wish); Roon won't touch, modify or rename your own files; the output to your DAC is exactly as good on USB and S/PDIF but DSD files obviously won't play via S/PDIF; the GUI to the Komputer is any iOS or Android tablet or smartphone; if needed, we can include a pre-configured tablet (I personally use nothing less than Apple Pro series 12" monsters). Your contact person for hand holding during initial setup will be Antoni Bagan, creator of this machine. He uses email, messenger, whatsapp or phone/voice/sms to assist on any IT issues." I reminded Łukasz of our household's WiFi allergy; and that my music library lives on the iMac's 3TB Fusion drive as a standard iTunes library. No problem. "Sorry, I forgot about the WiFi thing. We can easily bypass it. "The best would be for us to configure the player to be fully self sufficient. 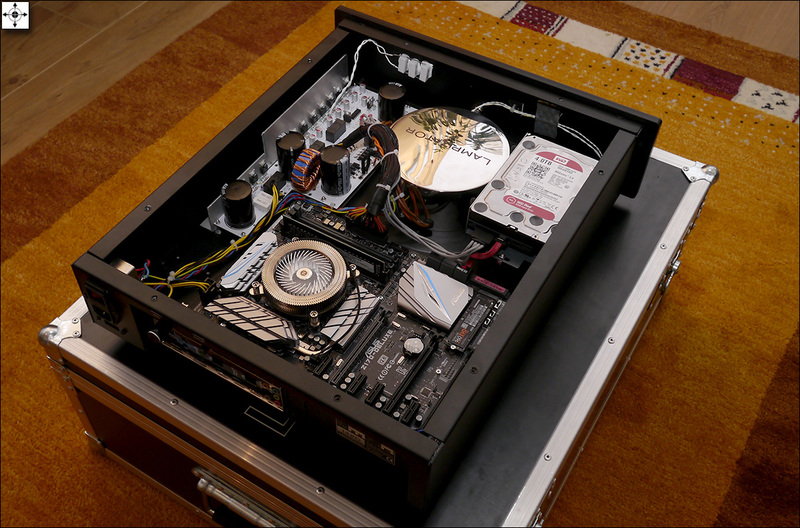 We'll load a 4TB drive with music, hoping that you'll find music you like amongst its 12'000 albums. Your GUI can be the iMac loaded with Roon. The iMac should be seen like any other network drive with your own music. You could also use a USB stick or USB HDD/SSD if you wanted to add your 20 best test tracks to my library." Perhaps. "Will it bite down or wiggle off?" This was relative to accessing the iMac's iTunes library and—even more important—to categorically obliterate the sonics of the iMac as our stubbornly long-lived digital transporter. It had shown up five times costlier fare with a far bigger far superior display, no need for WiFi, better functionality and if not identical then very close sonics; close enough to bury the upgrade itch. But hope does spring eternal. Had my post-Apple era finally dawned?